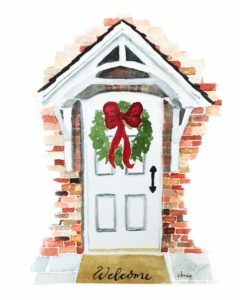 Welcome to the first stop in the Christmas Tour of Homes!! 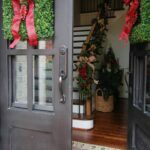 Not only am I thrilled to be inviting you into my home today, but I am excited as you are, hopefully, to be inspired by the Christmas cheer that will be filling our week for the Christmas Tour of Homes! No less than 28 homes in total, y’all! If you are new here, welcome! 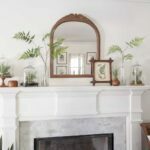 I’m Leslie and I love all things southern and traditional style but I strive to bring a fresh approach to my decor while still keeping budget in mind. I live for a good DIY and bargain hunting is my jam! If that sounds exciting to you then I know we will soon become the best of friends! Let’s start at the front of the house. As I had predicted the maple tree has turned bright crimson just when the red hues are most desireable! Of course, Tucker followed me outside and took advantage of his perch on the front steps to watch the neighbors. He did have an admiring fan run by! He gave his obligatory tail wag and just smiled knowingly. He knows he’s cute and photogenic. Let’s go right into the heart of the home, the kitchen. I’m fairly certain if you were actually here, this is where we would end up. But first I’d offer you a cup of Chai tea. It’s my morning passion. Can’t function without it. Now that you’ve settled in with your cup, I’ll tell you a little more about this house. We moved here a little over a year ago and I bet you would not be surprised if I told you the house looks nothing like it did then. This little nook was completely bare. The cabinets here are the original island for the kitchen and I built a shelf on the end to fill out the space. Of course the show stopper here is the reclaimed wood shelves. I live for completely redecorating them for the holidays! 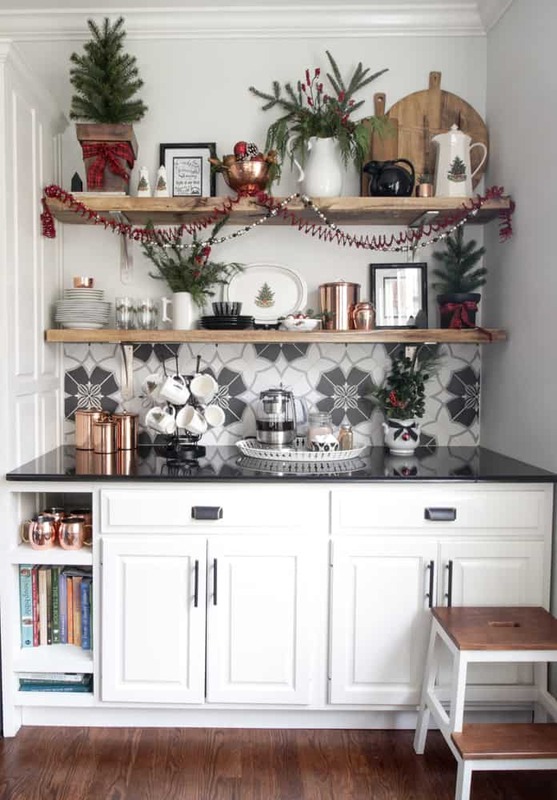 A collection of Christmas dishes and glassware, copper canisters, thifted treasures, like tea pots and colanders and of course, lots of greenery fill them up quickly. But this year I added two printables to the shelves. The O’ Holy Night printable can be found here. I also have it set up for a Cricut file if you would like to cut it from glittered vinyl or a stencil with gold (or any color) like I did a few years ago. Here’s the post. 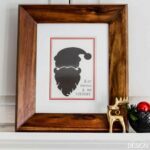 This vintage Santa was inspired by a graphic I found at Old Design Shop Blog, but I wanted a red colored image so I reworked the art as you see it and you can download it here. Just across from the shelves is the eat-in kitchen area. 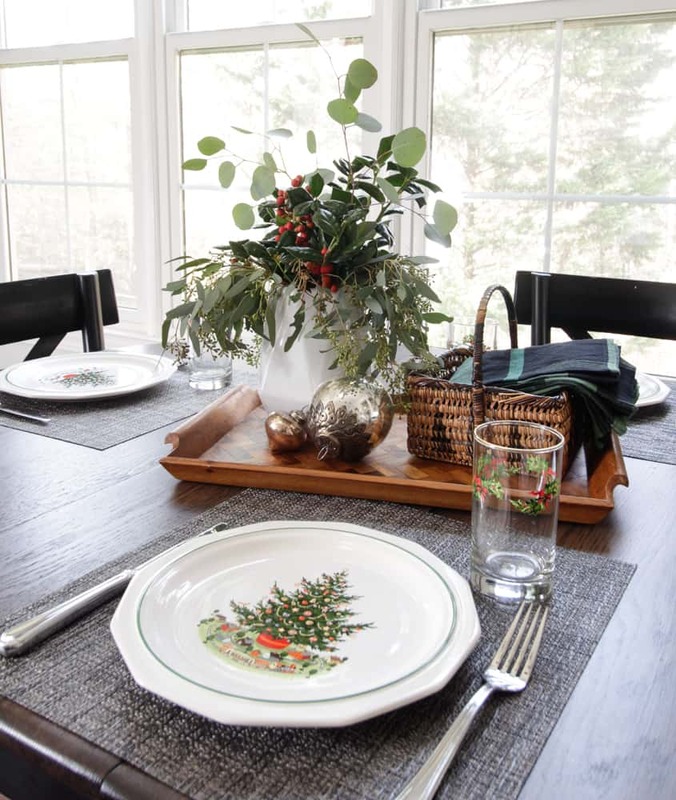 The table is set with the Pfaltzgraff Heritage Christmas dishes we bring out and use for every meal this time of year. The new island is clad in barn wood salvaged from a farm in north Alabama. It is the perfect spot for a dramatic centerpiece. I found this giant black bowl this summer and was just waiting for the opportunity to plant it up. I used bulbs that look similar to paper whites but they don’t have a scent. 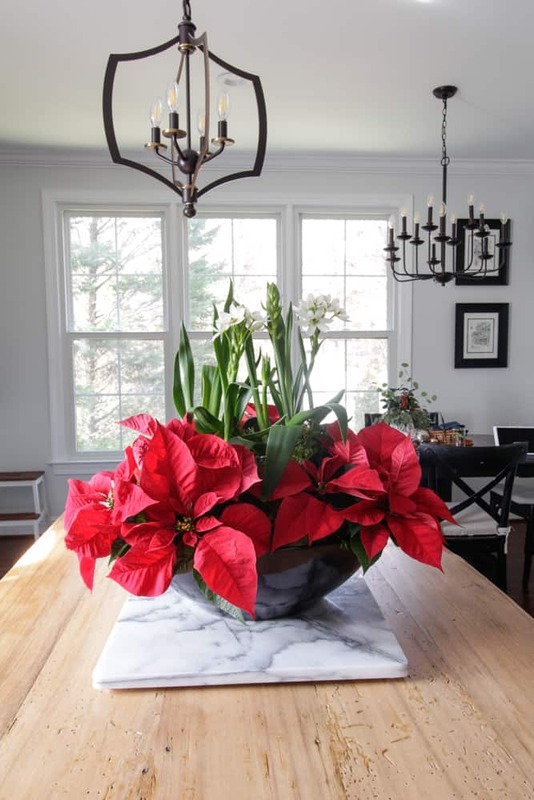 Surrounding the bulbs with small red poinsettias complete the festive, yet classic arrangement. 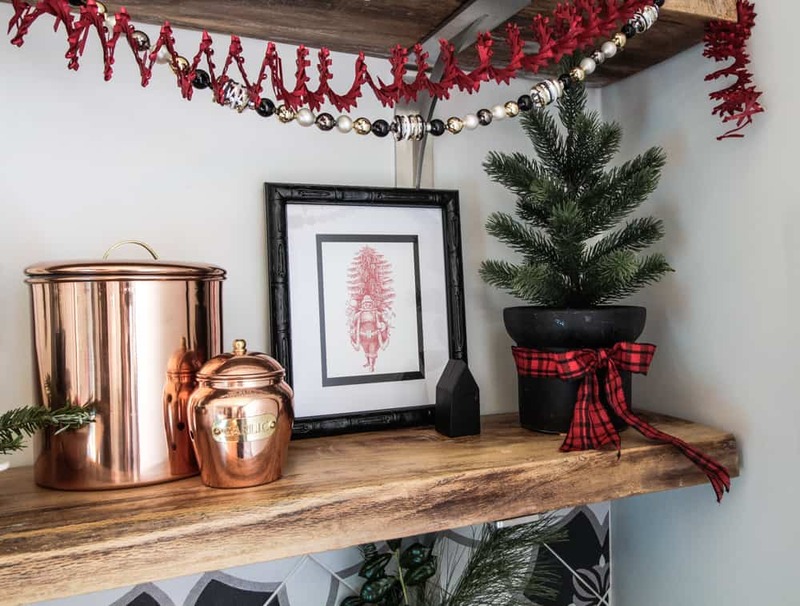 Simple additions of fresh greenery and those little Christmas treasures I look for year after year are all that’s needed. Of course pedestals and trays are the perfet way to neatly corral your accents in the kitchen or anywhere. Last Christmas, the renovation was not yet complete and this window was a mess. I love that I can now proudly accent the arch with beautiful garland. I’ll fill you in on my little secret though. 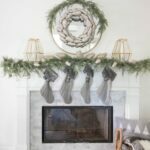 Behind the fresh cypress is a simple faux pine garland from Walmart! The fresh garland I purchased was too heavy to hang around the arch, so I took it all apart and tucked it into the wires of the the faux garland. Then I had more cypress to use other places around my house! Talk about a budget helper! I’ll be sharing the rest of our main floor spaces on Thursday for Part 2 of my home tours. But let’s go down to an area of the house I haven’t shared formally before. This is our favorite place to hang out for movies and my husband’s football watching sanctuary. I tried my hand at flocking an inexpensive tree this year. I am thrilled to report it went even better than I thought! Be sure to follow me on Instagram or subscribe to my blog to not miss the detailed tutorial video that’s coming! 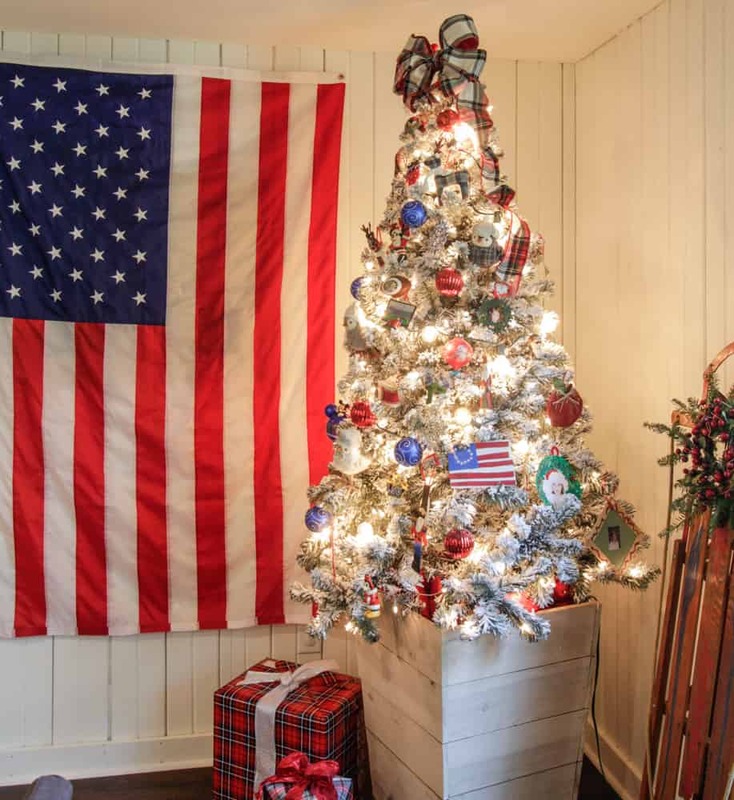 I wouldn’t say I necessarily set out to create a patriotic tree. But I did happen to have just the right shade of blue ornaments to combine with red and my son’s 6th-grade collection of American Government ornaments. I combined them with other ornaments we had on hand. I specifically saved the football-themed ornaments we have collected over the years to use down here as well. The other side of the room is balanced now with a project I just recently completed. A rustic blanket ladder built out of those dead tree trunks and limbs I mentioned earlier! While it will likely hold blankets year-round, tying it up with some ribbon brings the perfect festive touch. For a bit of nostalgia, I filled a basket with our Christmas themed books. While our now college-aged kids will likely not read them all, I know they will be looking forward to our Christmas Eve tradition of watching a “Charlie Brown Christmas” before bed! Thank you for joining me today! I hope this tradition-filled Christmas tour inspired you and maybe even sparked a new tradition for your family. Memories of happy Christmases keep the spirit of the holiday alive from year to year! The next stop on the Christmas Home Tours is Poofing the Pillows! I’m sure she’s got a soft, inspirational place for you to land this Christmas! 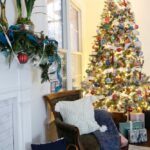 Each of these talented bloggers have pulled out all the stops to create a Christmas Home Tour to inspire and delight you this season! 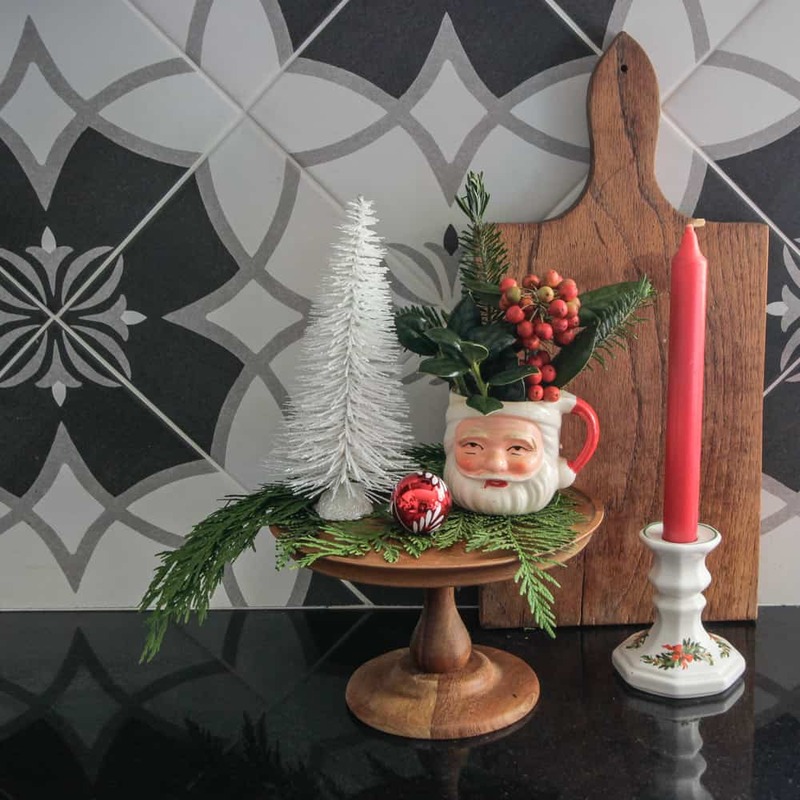 Visit the rest of Christmas Home Tours and be ready to inspired by these talented bloggers! Also, the rest of my home tour can be seen here! 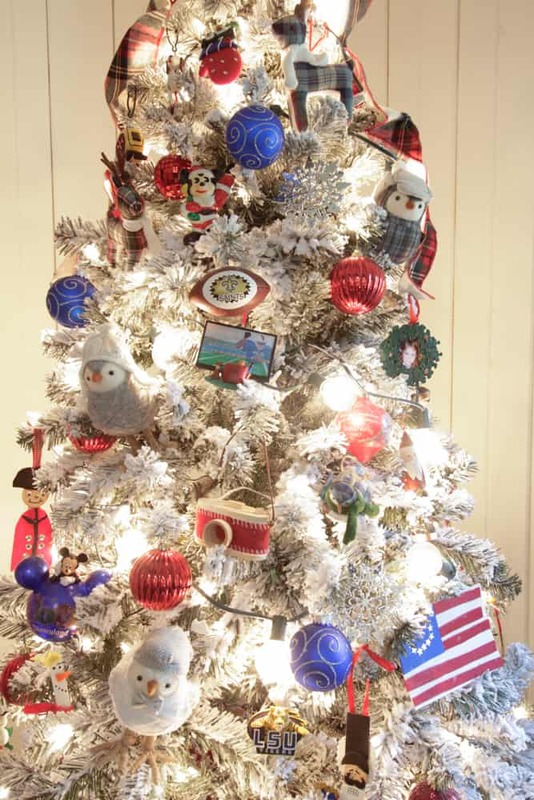 And on Wednesday I shared a special blog post all about my Christmas trees, here. Wow! 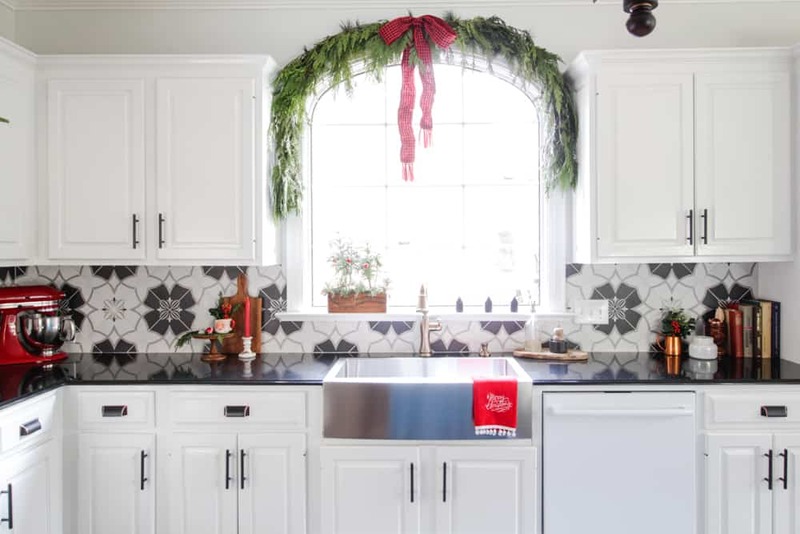 I love everything, especially the garland over the kitchen window. Thank you for the adorable printables. Good morning! There are so many things I’m loving in your home. The contrast of light and dark in your kitchen knocks my socks off! The Christmas touches are perfection. The basement is wonderful too. Seeing the big flag on the wall makes my Army mom heart happy. 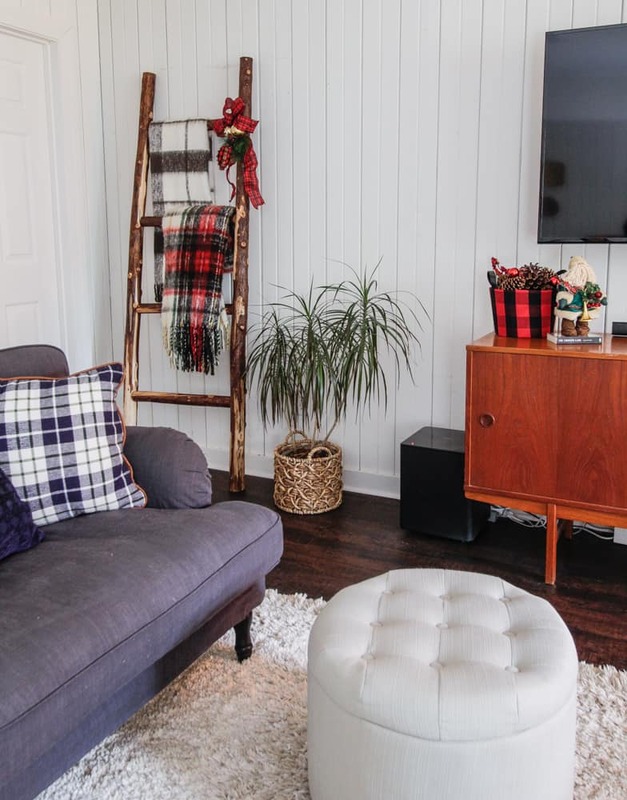 I love, love the Christmas tree and the blanket ladder. Leslie! This is amazing! 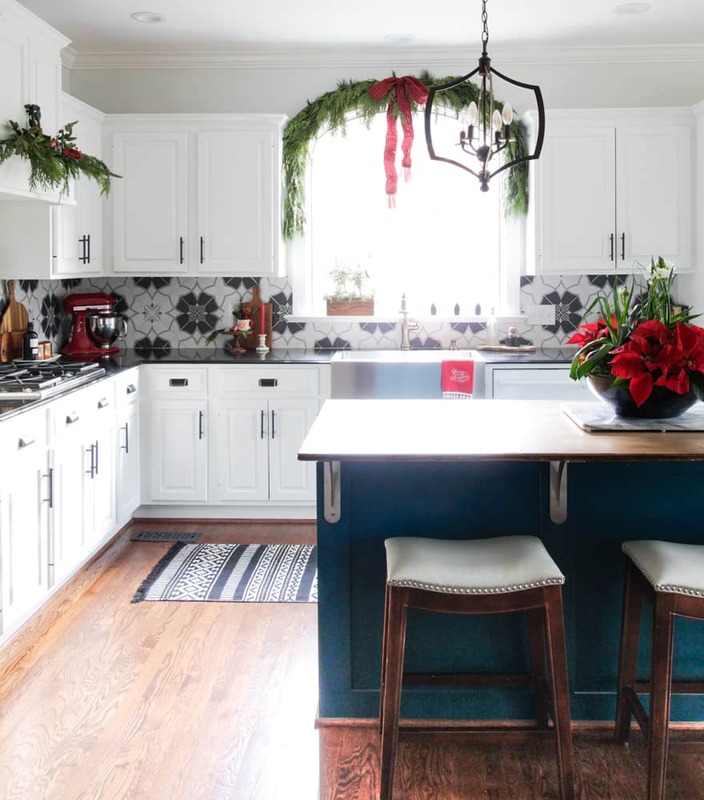 Your kitchen is conjuring up all my cooking juices – it’s so seasonally perfect! Happiest of holidays, my friend! Oh! I LOVE what you did to decorate! So many beautiful holiday plaids and patterns! Also, I really love the blue paint on your island, lol. How fun is your home decorated with such creative ideas. 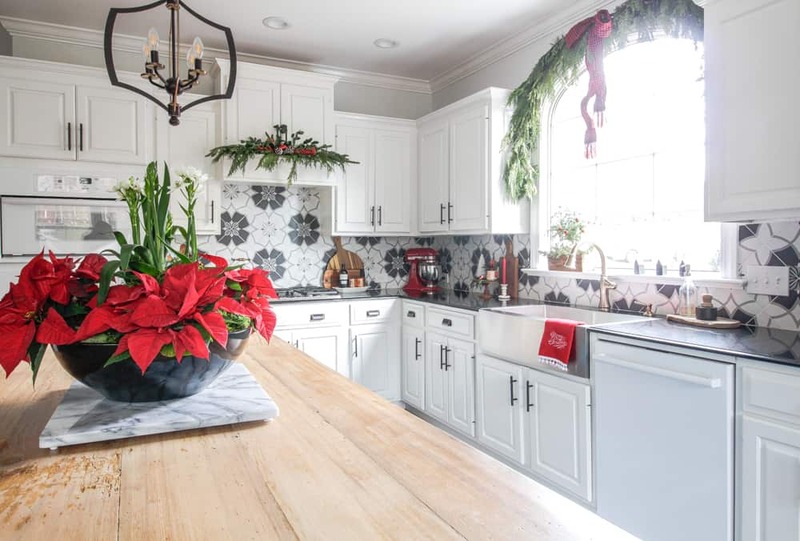 I love the garland in the kitchen, your kitchen is stunning! I loved the reclaimed counter top for island. In my last home I had wood as well on the island, but it was not reclaimed. I think reclaimed is more durable. 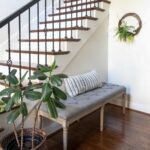 That wooden planter for the tree is so unique. Fabulous look. Great meeting you at the House tour. Oh so pretty. 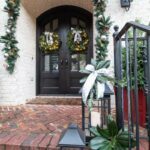 I love your home and your Christmas decor is stunning. 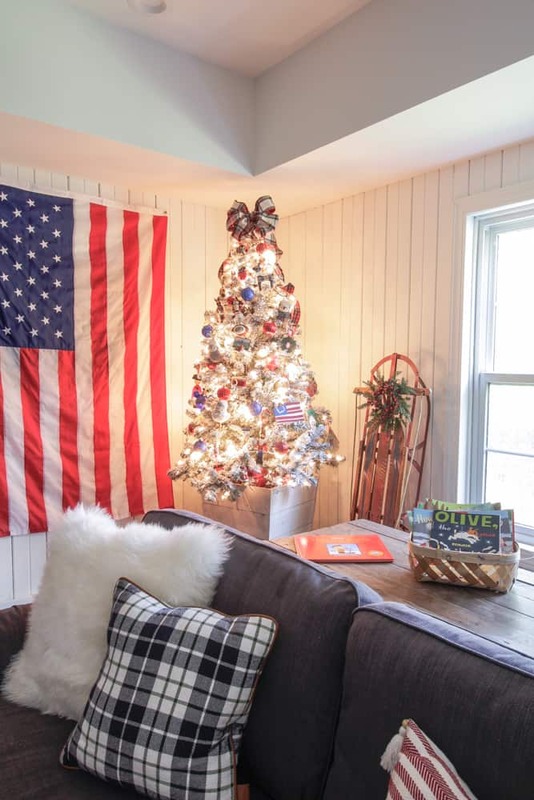 How fun to have a patriotic tree. I love that ideas. 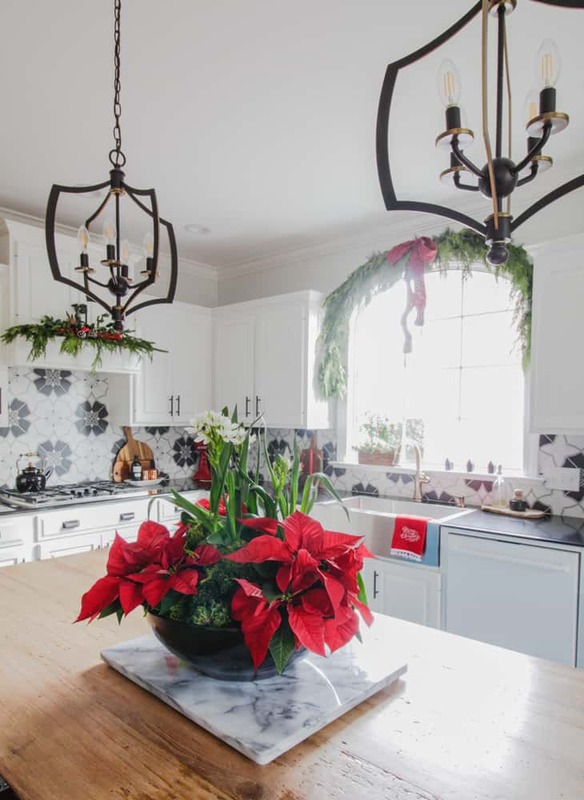 I just love the way you hung that greenery over the arched window in your kitchen! 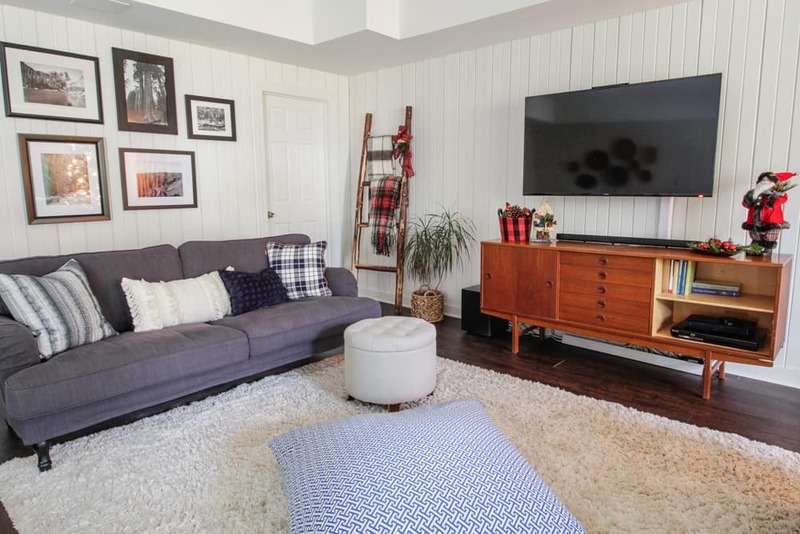 YOur family room is just the cutest as well. 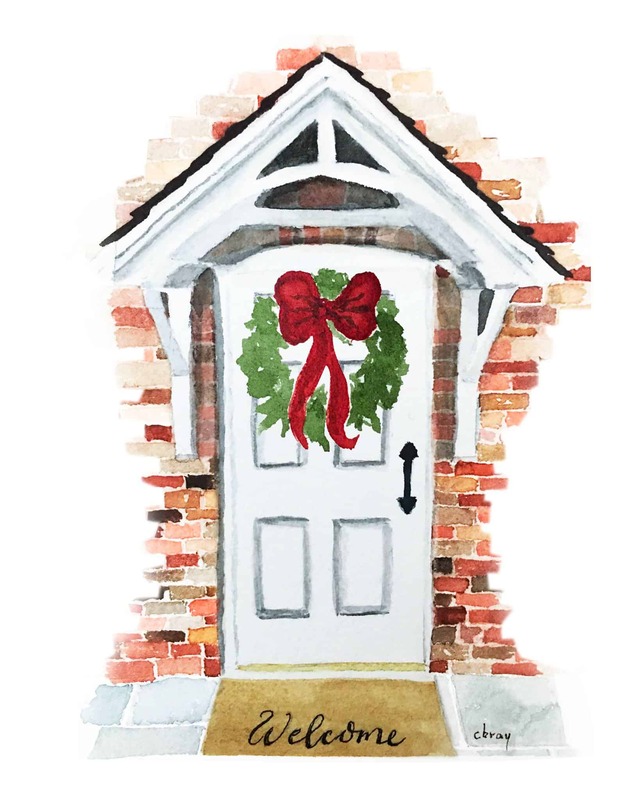 Thanks so much for joining us this year for the Christmas Tour of homes! I might want to actually cook in that beautiful kitchen. 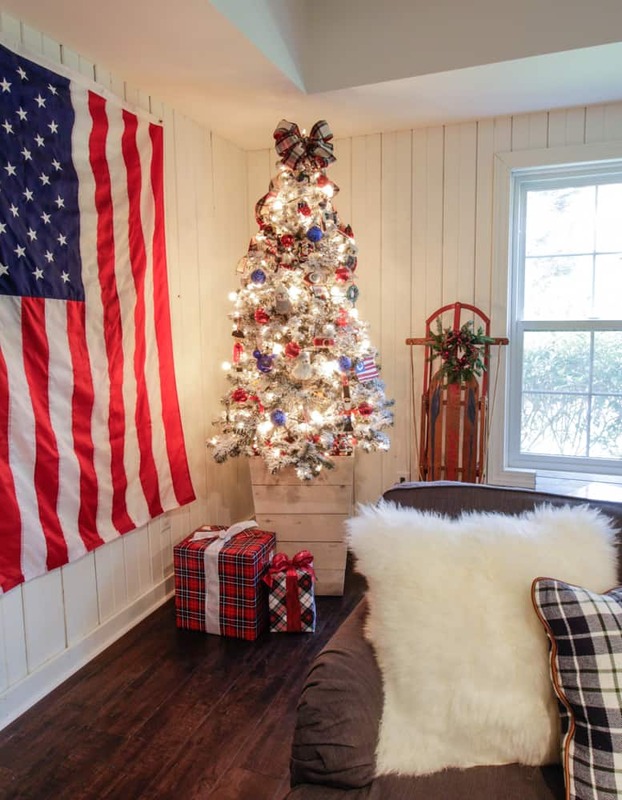 And that patriotic Christmas tree is fantabulous. Great job on all of it! Pinned and grinned! btw, I want your dog! 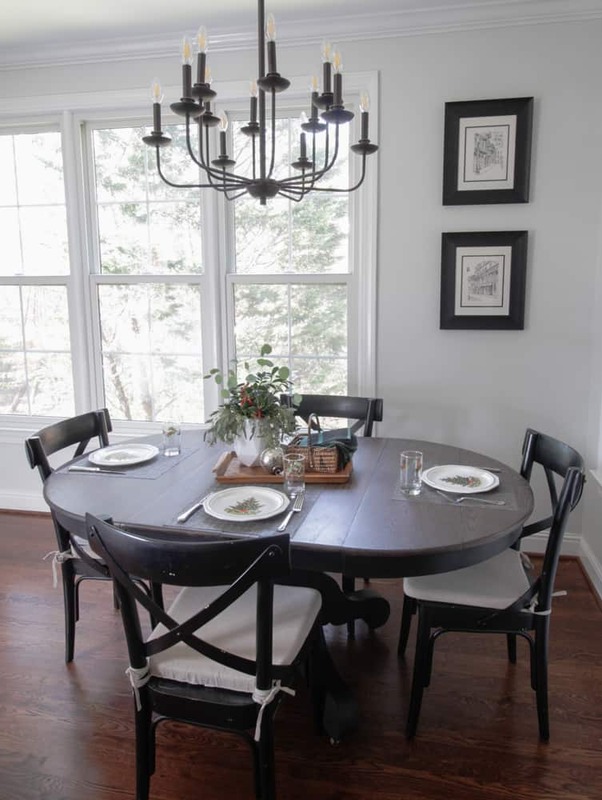 Thank you for sharing your beautiful home as part of this blog hop. Every detail is simply stunning! We have those same Pfaltzgraff Heritage Christmas dishes and love to pull them out for the holiday. Happy holidays! OK Leslie, I do believe we must be BFFs but haven’t had an opportunity to officially meet! Like you, my mornings are filled with multiple cups of Chai (I’m a Stash gal…what’s your go to brand?). And I am so excited for the day after Christmas to come around to find new Christmas trinkets to use next year. I love you open shelves…that wood is gorgeous…no doubt you love to decorate them come Christmas time. And what a fun basement!! 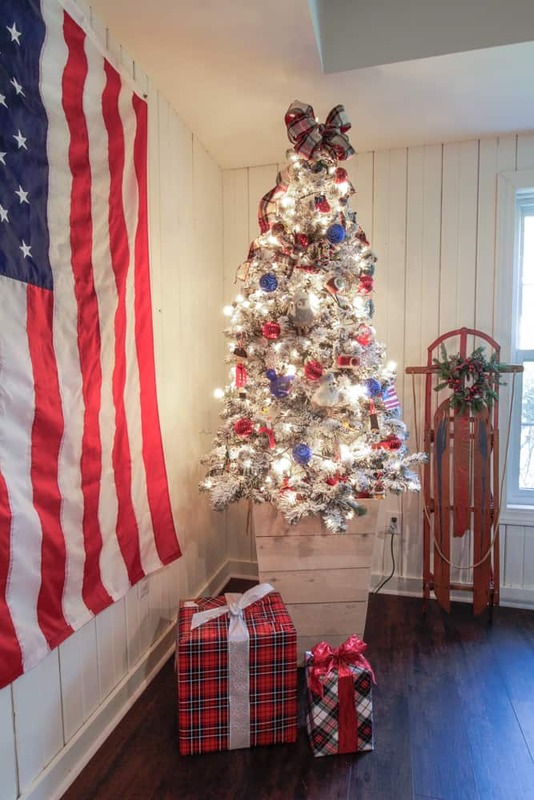 That Patriotic Christmas tree is the bomb-diggity! Thanks for joining us in this tour. I’m thrilled I got the chance to pop over and meet my new BFF! Your home is so warm and inviting! 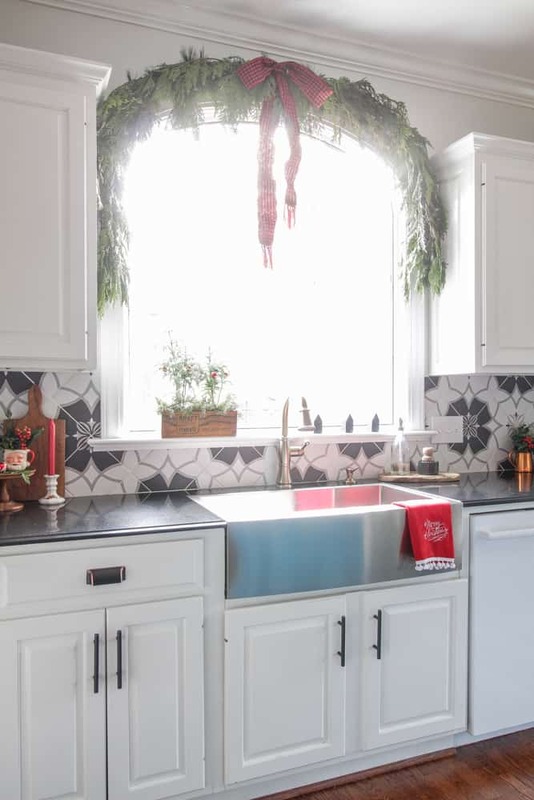 I love the kitchen backsplash, such a fun pattern. 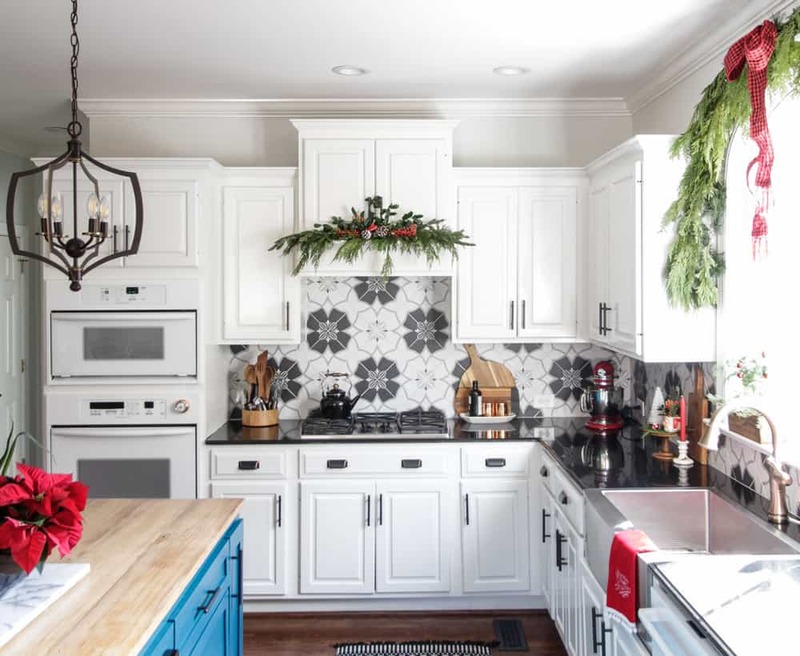 Leslie, there is not a single thing you’ve decorated that I don’t love: the shelves in the kitchen, the garland above the sink, the tree in the family room (red, white and blue). Thank you so much for the printable. I’ve been looking for one. And I can’t wait to check out the Cricut post because I’m also obsessed with my Cricut. So happy to share on the Christmas Blog Hop. 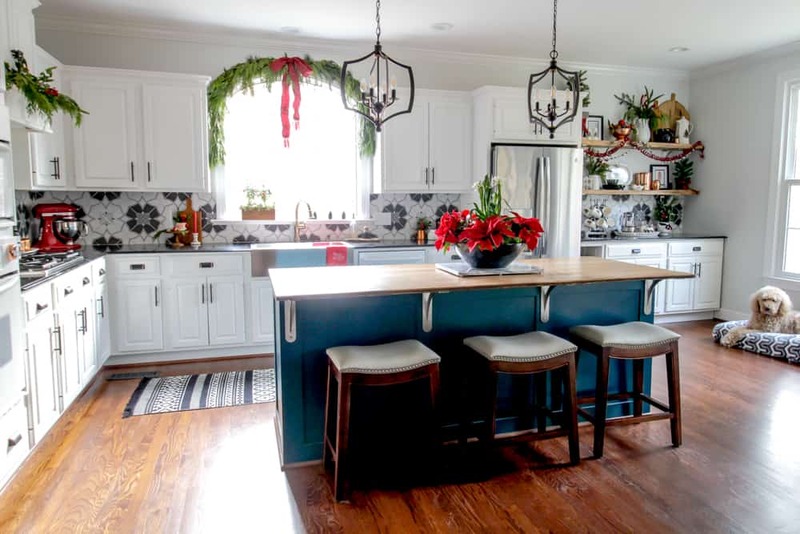 Leslie, your home looks gorgeous, and I am just swooning over your kitchen! All of your little Christmas details are just perfect. And, I spied your little Saints and LSU ornaments on your tree. That’s my kind of tree! Hope your family has a wonderful Christmas! Your home is just as beautiful from the outside as the inside. I love all the fresh greenery and your lovely open shelves. Such a lovely tour! Leslie, you have a beautiful home and you’ve done such a lovely job with all your holiday decor. 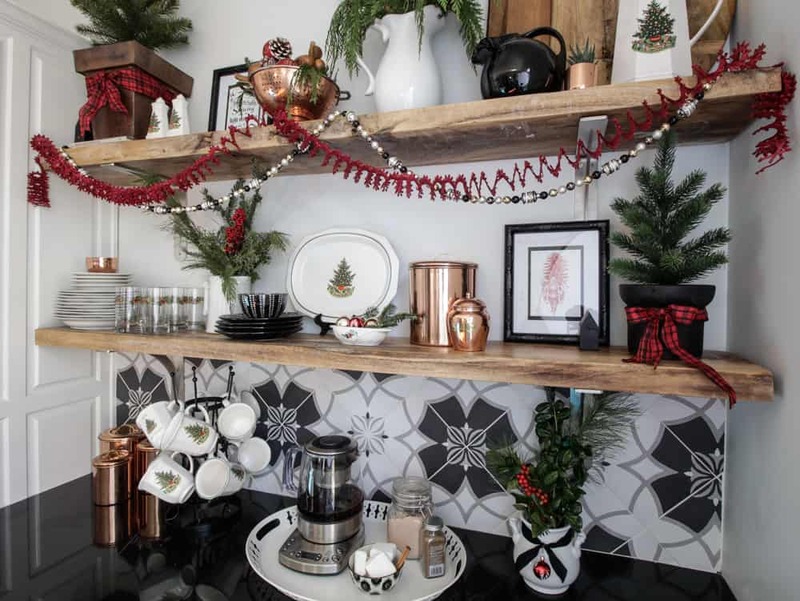 I love your festive kitchen and all the pretty copper pieces (I love copper!) and your media room is so bright and comfortable. Wonderful tour and I’ll be sure to check back for a look at your other trees. 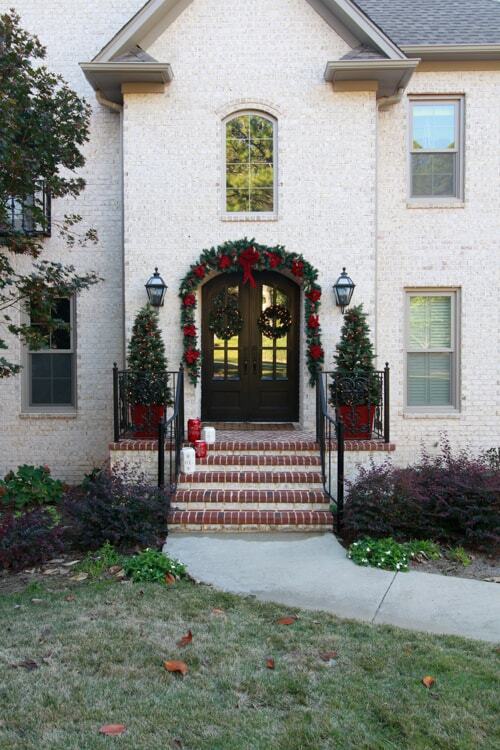 Leslie, I couldn’t wait to see your home decorated for the holidays and it is so beautiful. 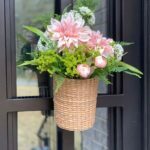 The planters on your front porch look amazing. 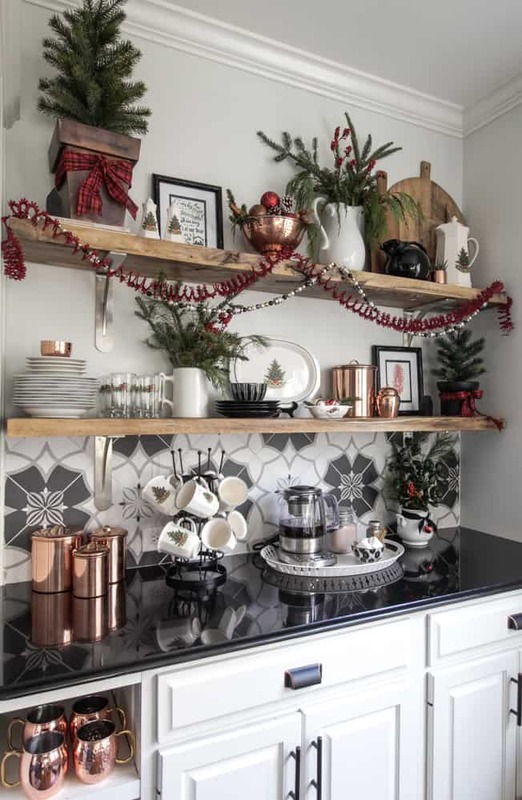 I love the festive touches that you have added to your kitchen. You have talked me into flicking my own tree. Thanks for joining us this year! 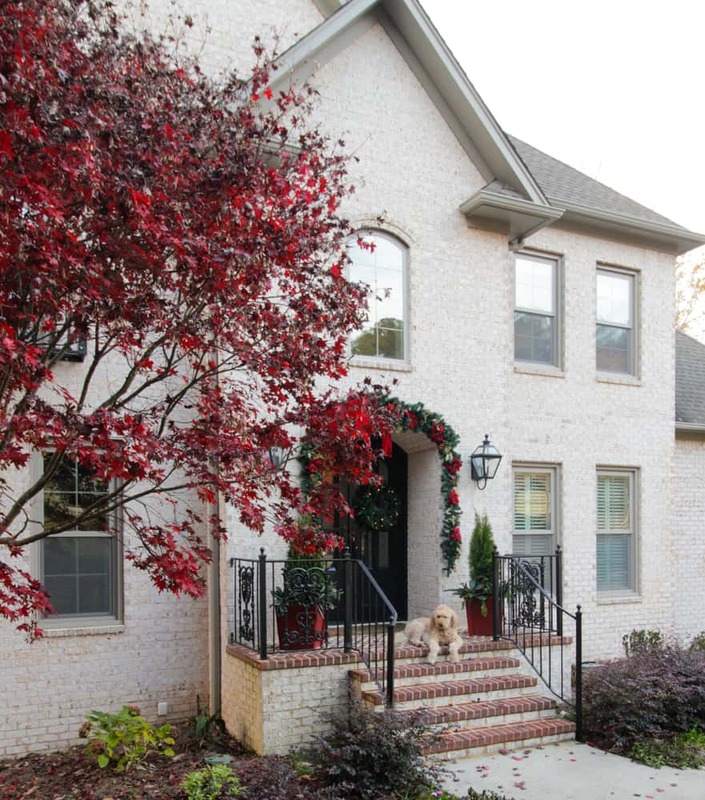 What a lovely home and how nicely you have it decorated for the holidays! 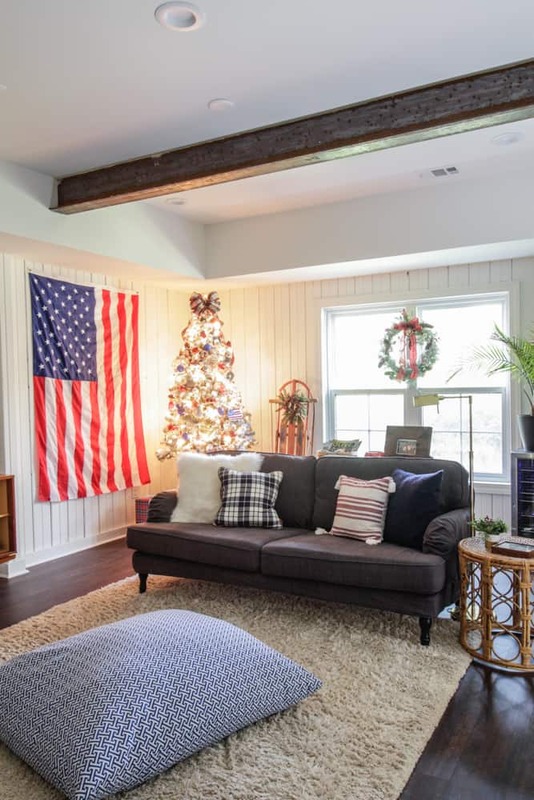 I really like your tree in the basement and the fun decorations you have put on it and your flag on the wall is just perfect! Merry Christmas! I love your beautiful home and all of the special elements that you have added. I am taking notes! 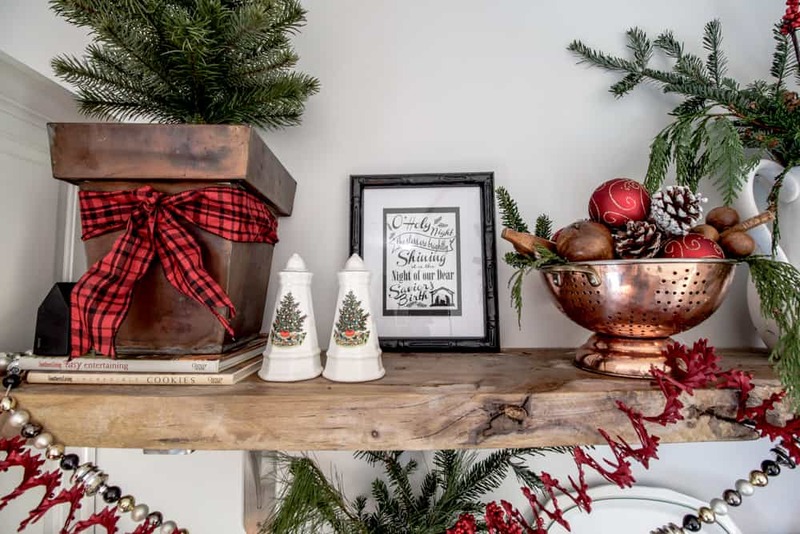 Love the copper, the Christmas Tree in the basement and oh your backsplash is amazing! 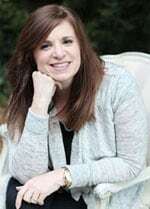 Leslie, I’m so happy to meet you from our Christmas Tour of Homes. I feel like I’ve been running around like a chicken with it’s head cut off all this week, and today I’m finally sitting down and trying to get caught up with all these beautiful homes , while I watch snow falling outside. 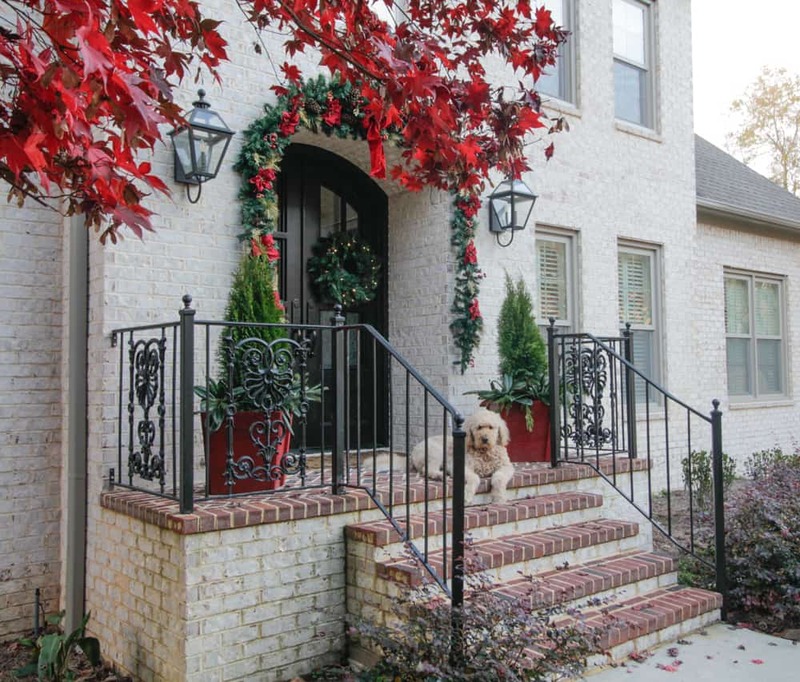 Your home is beautifully decorated for Christmas. 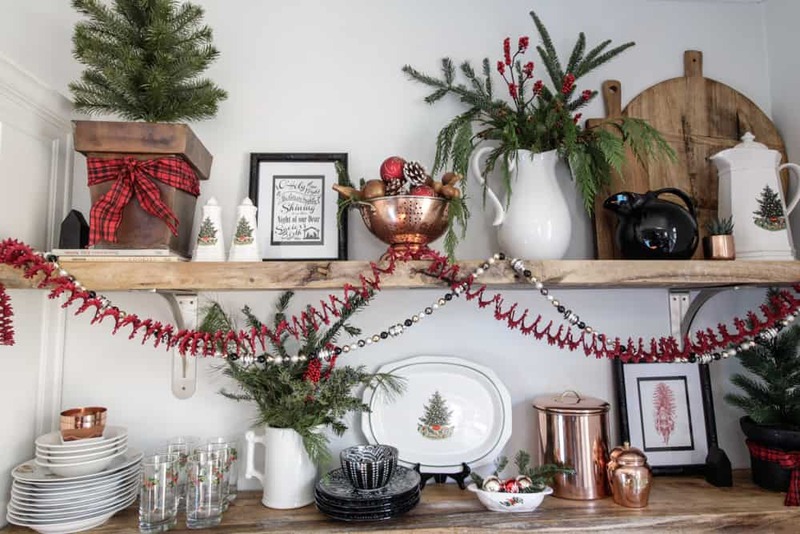 I really love the greenery in your kitchen, along with your decorated rustic shelves. Such nice vignettes. . And that ladder you made is really awesome. Such a great job on it! 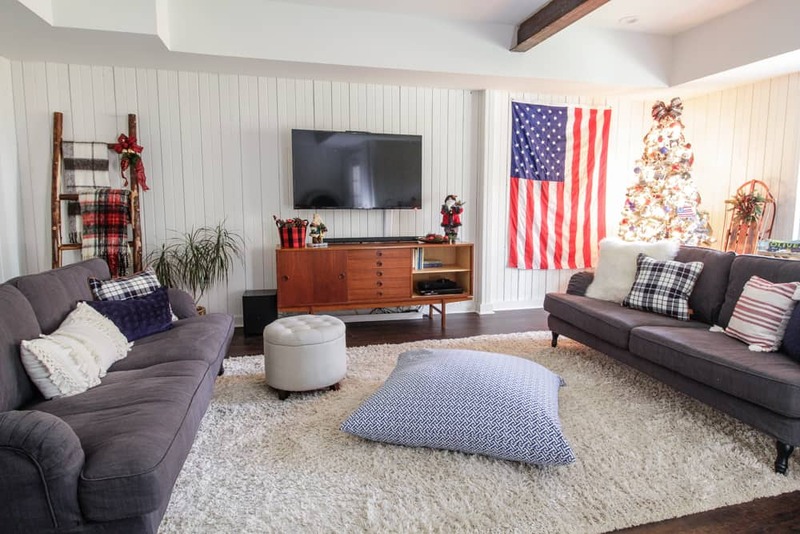 I’m loving the red, white and blue theme in your lower level. Everything is picture perfect. Leslie your home is breathtaking! I also love that tucker always makes an appearance. You’ve inspired me to flock my tree next year cannot wait until that post it up. I see you share my love of the Christmas Heritage. I use plain heritage every day and The Christmas Heritage during the holidays. Love your home !!! I am in love with your kitchen! Everything is just beautiful.